Finding the right air conditioning system can be overwhelming. That’s why we want to make sure your experience is as smooth as possible. Our AC installation technicians will help you pick the right air conditioner with benefits that fit your budget. 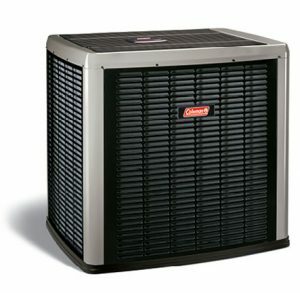 Best Heating & Air Conditioning is your Utah expert for Coleman Heating and Cooling Systems. The Coleman system offers you the best performance, most comfort and best value in an economical package. Our comfort consultants will take the time to evaluate your Utah County or Salt Lake City area home and discuss your comfort preferences and budget, then will work to determine what Coleman air conditioner fits your home best. The Coleman Ecehlon™ Series split system air conditioners are ENERGY STAR qualified because they offer at least 15-25% higher energy efficiency than standard models. You won’t have to raise your budget or voice to purchase on! That’s because our innovative WhisperDrive™ Comfort System operates silently. All this packaged with our 100% Satisfaction Guarantee! For more information on air conditioners or any of our HVAC products and services, please contact us today.